The information published on this website is provided to assist our customers with their journey plans. Whilst we use all reasonable efforts to ensure that the information contained on this website is current, accurate and complete at the date of publication, no representations or warranties are made (express or implied) as to the reliability, accuracy or completeness of such information and Information is subject to change without notice. We cannot therefore be held liable for any loss arising directly or indirectly from the use of, or any action taken in reliance on, any information appearing on this website. In addition, no warranty is given as to the freedom of this website from errors, defects, viruses or other malicious programs or macros. We will try to keep our website available but cannot guarantee that our website will operate continuously or without interruptions or be error free and can accept no liability for its unavailability. You must not attempt to circumvent security, tamper with, hack into, or otherwise disrupt any computer system, server, website, router or any other Internet connected device. We reserve the right to make changes or corrections, alter, suspend or discontinue any aspects of our website or the content or services available through it. Unless explicitly stated otherwise, any new feature, content, products and services offered shall be subject to these terms and conditions. Fleet Buzz maintains a high security ethic and tests material through many stages, however advises that you should always run an anti-virus program. 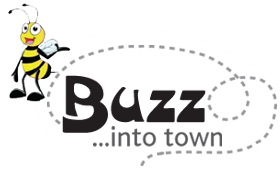 Fleet Buzz cannot accept any responsibility for any loss or damage to data or your computer system which may occur while using material derived from www.fleetbuzz.co.uk or an external link.